I shoot (and therefore scan) a lot of film. So I thought I’d share what I’ve learned about scanning. This is geared towards color, but it’s also relevant to black and white negatives as well. I’m not going to deal much with the scanning side of things, since everyone has different scanners. But one thing is constant (unless you have a drum scanner, in which case all this is irrelevant): your film will not be perfectly flat or perfectly focused. Your negatives will always be sharper than the final image. It’s going to be disappointing the first time your negative pops up on the screen, Be ready. So with that said, let’s start simple. 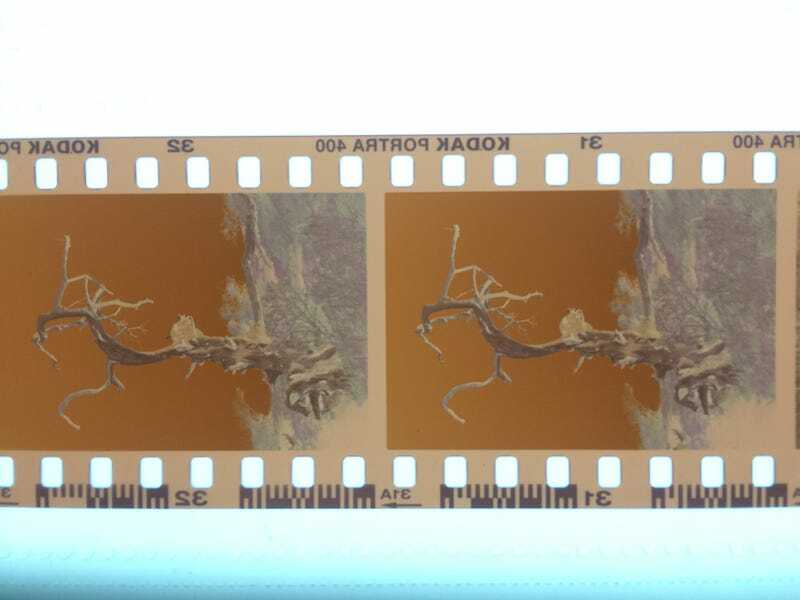 I’m going to scan that frame of the tree by telling my scanner to scan it as a color negative. It’ll do the work on the conversion. So how does that turn out? It has good range, but it’s been clipped. The colors are also way to heavy on the reds, but you wouldn’t necessarily know that unless you saw the original scene. So now we’ll scan as a positive. The whites aren’t white, the blacks aren’t black, and everything is cyan. But it’s an image. There are two ways to correct the color that I’ll show you which will give slightly different results. The easy way is to let photoshop do it. In the menus, go to Image>Auto Tone, then Image>Auto Contrast, then Image>Auto Color. Good job photoshop! That looks good! Using this method does tend to leave some extra headroom on the histogram, so the blacks aren’t black and the whites aren’t white. But the colors are good, and it’s easy to edit the look how you want it from here in lightroom. There’s another way to do it, and that’s with color targets. I have one of these left over from a previous project that required color calibration of a whole bunch of lab cameras, and it works well for film. I’m only interested in the far right column here. With a levels adjustment layer, I can take a sample of a black point, white point, and grey point. On the right is auto-levels, on the left is the manual one. I like the one on the left more, so I’ll bring that one into lightroom for further tweaking. It’s still by no means a great photo, but it’s a heck of a lot better than it was. The color is right, brightness is reasonable, and the sharpening has fixed some details. One final note: this seems like a lot of work, and it is. But since the overwhelming majority of it is the same for all negatives (especially if you use photoshop’s auto levels) it’s very easy to record a photoshop action to do it for you. That way you can just tell photoshop to apply that action to a folder of scanned positives and then go have some coffee while they run. I hope this “guide” is useful, happy scanning!